The days are getting longer. It’s the perfect time to grab a cold beverage and a great book! Need some ideas? 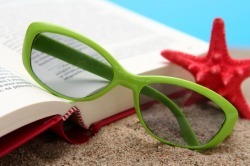 Check out Snotty Literati’s 2016 summer book recs!